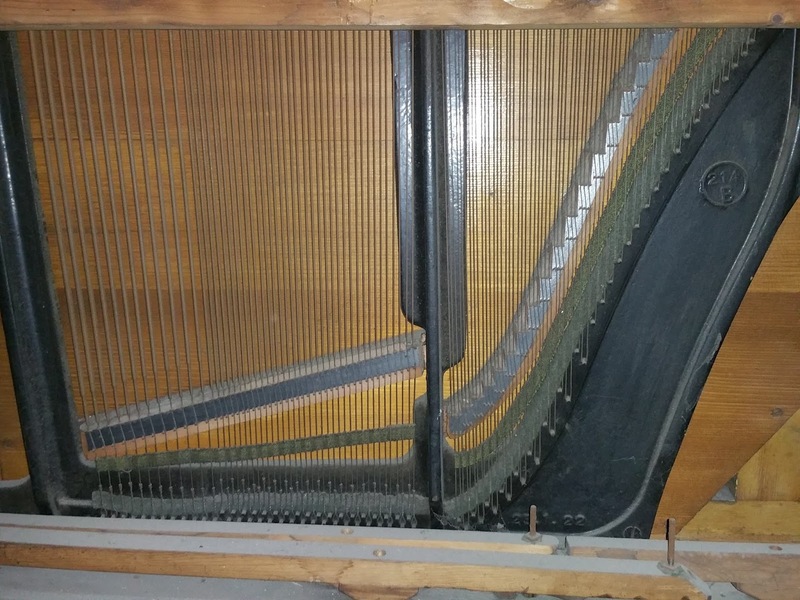 A classic Upright Piano with the covers off! The pedals, the sustain has definitely seem some action! Another side shot of the slightly...better piano! I have a piano tuning kit I bought off ebay for doing my own tuning so I broke it out and set to it. Tuning a piano is an art...it's difficult and takes skill and practice. I did get it mostly in tune, some of the higher and lower notes beat me and I will spend a bit more time on it. 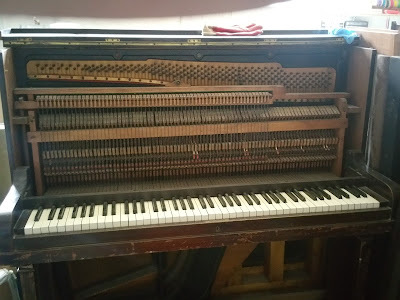 I am jealous of how easily played this piano is...my own keys are much stiffer and harder to play...mine also is in B flat...this piano tuned to A (440 Hz) without too much issue. Here is the piano now tuned...hopefully it sounds better! EDIT - I haven't got a video of the tuned piano to share yet - I will upload one soon. The internet needs more of my poor piano playing skills shared! The piano will always be in tune! A midi synthesizer can produce thousands of different voices - a whole orchestra and more! 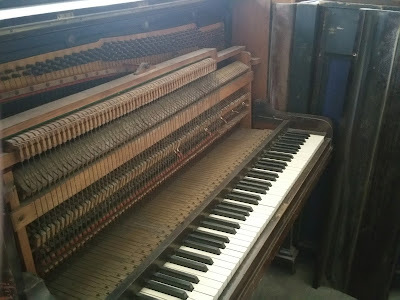 The piano can be used as a midi Jukebox and a band in the box. 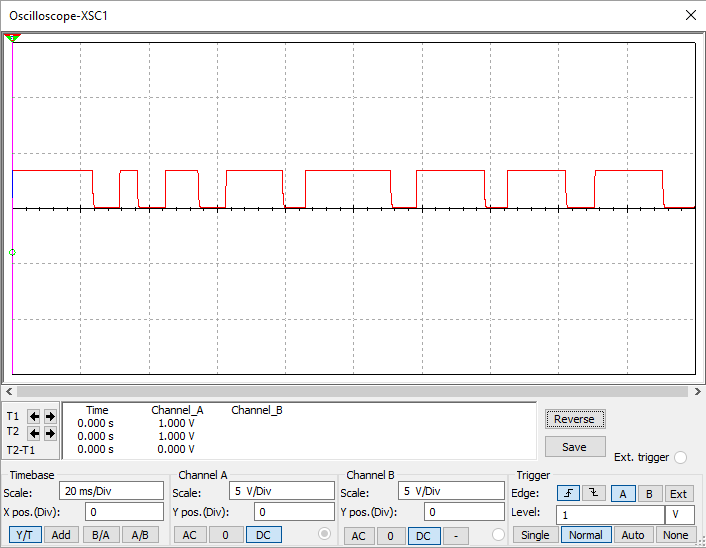 It is a great excuse to investigate touch pressure sensor technology. 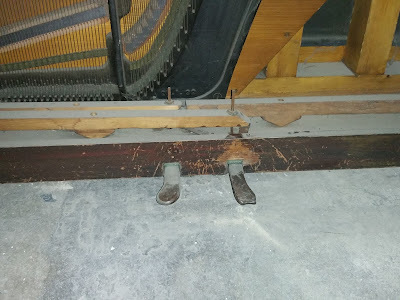 I think in order to make this work it will be necessary to add a spring mechanism to where the key would normally pivot the action mechanism to get the key to return to it's original position. I am not great at mechanical engineering - here is my chance to improve! It will also be necessary to sense the note being played. Most electronic pianos have a maximum number of keys being able to be played at the same time - this is known as polyphony. 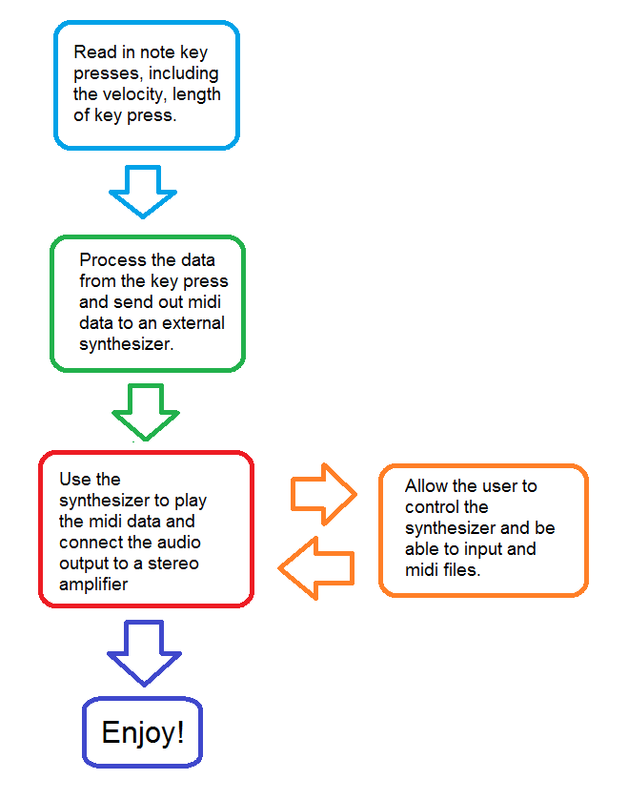 It would be nice to be able have at least a 32 note polyphony without any noticeable lag or delay. I'm not going to be playing pieces like this but being able to play 32 notes a once puts this device in the category of a reasonable electronic piano. 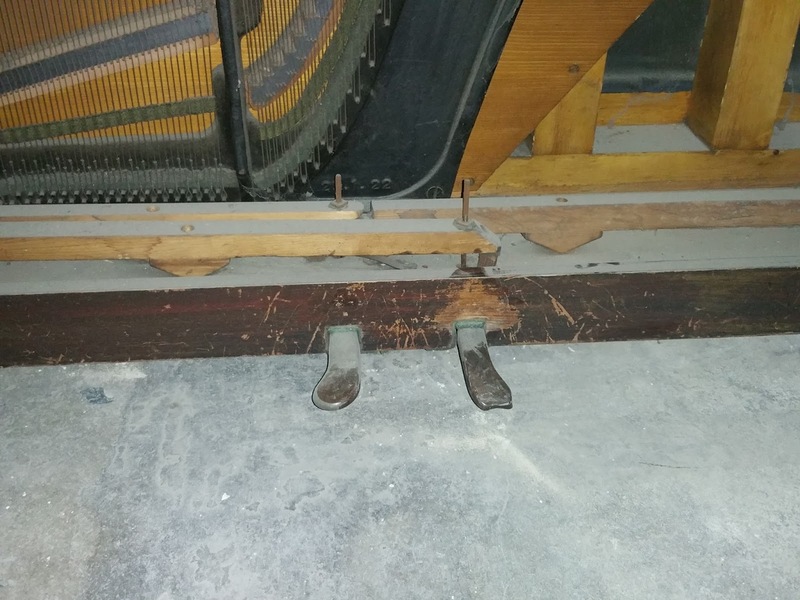 To do this we will need a pressure sensor which can easily be built and placed underneath the key of the piano. 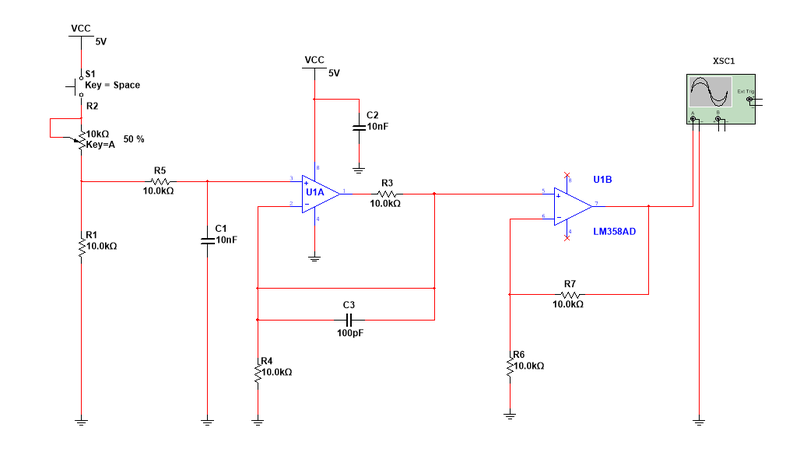 My plan is to combine the velostat into a simple resistive divider circuit which is then connected to the analogue input of a microcontroller and use this to 'sense' the note or notes being played. A piano has 88 keys! If we want to sense them being played we need a way of reading in 88 analogue inputs. 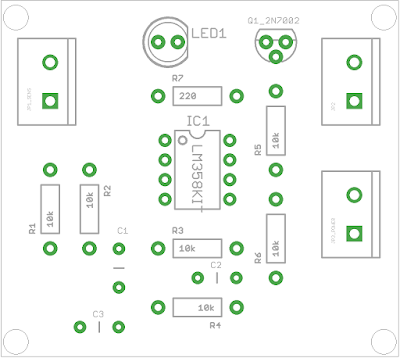 An arduino has six analogue inputs....an arduino mega has a few more but still not enough! 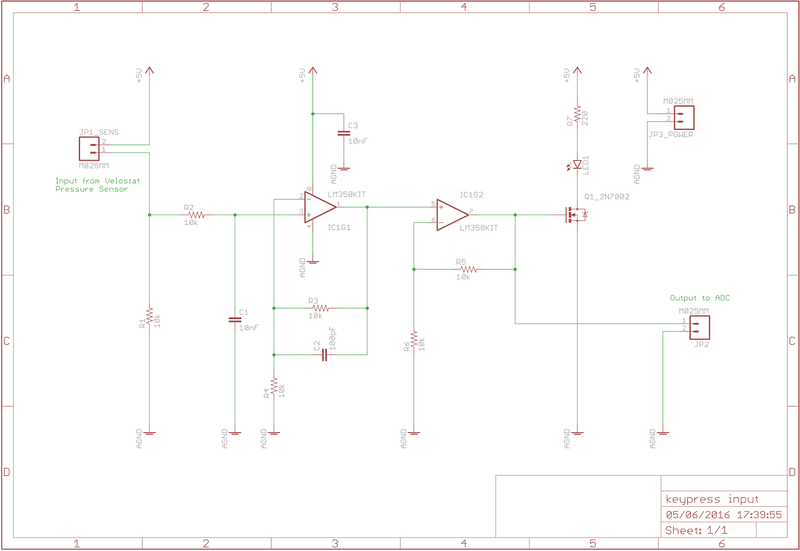 We could use multiple microcontrollers but that makes things awkward and expensive as we need to then to synchronize them all...yikes! I haven't used it yet....my first plan is to test and model the analogue input stage...then connect it to the multiplexer and then use that to scale up for 88 keys. therefore 5.5 devices (six) in reality. 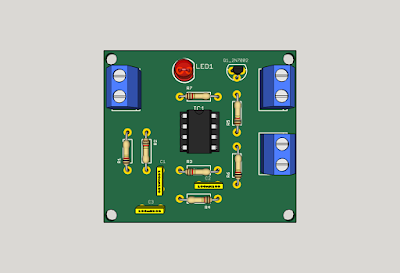 The simulation appears to work perfectly which is always good...This circuit will have to be reproduced eighty-eight times so we will need to design a small and easy to build circuit. 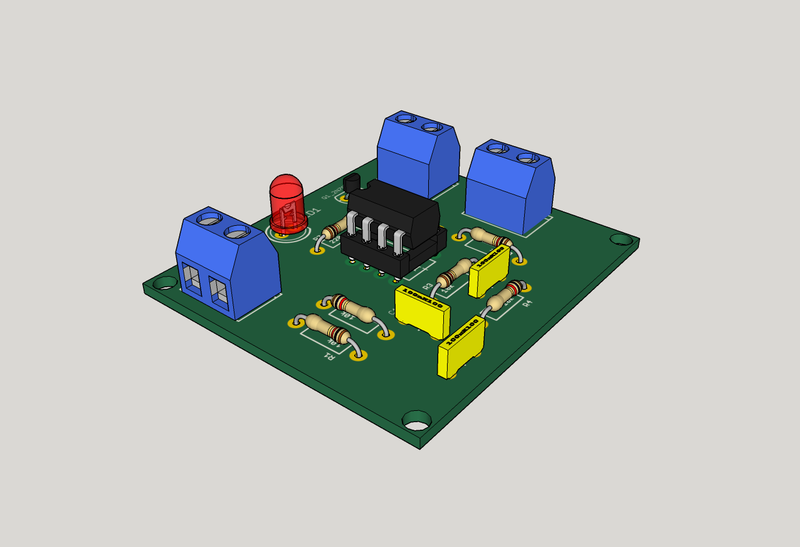 For now I'm going to make a though-hole version because it's easy to prototype. 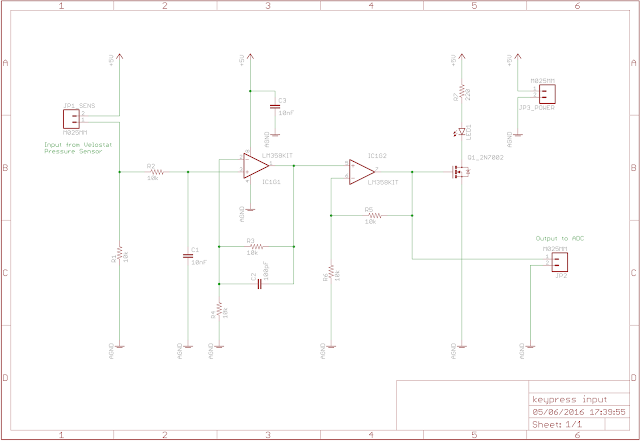 Once I'm happy everything works I will probably make a sixteen input version which will be connected to the analogue switch. 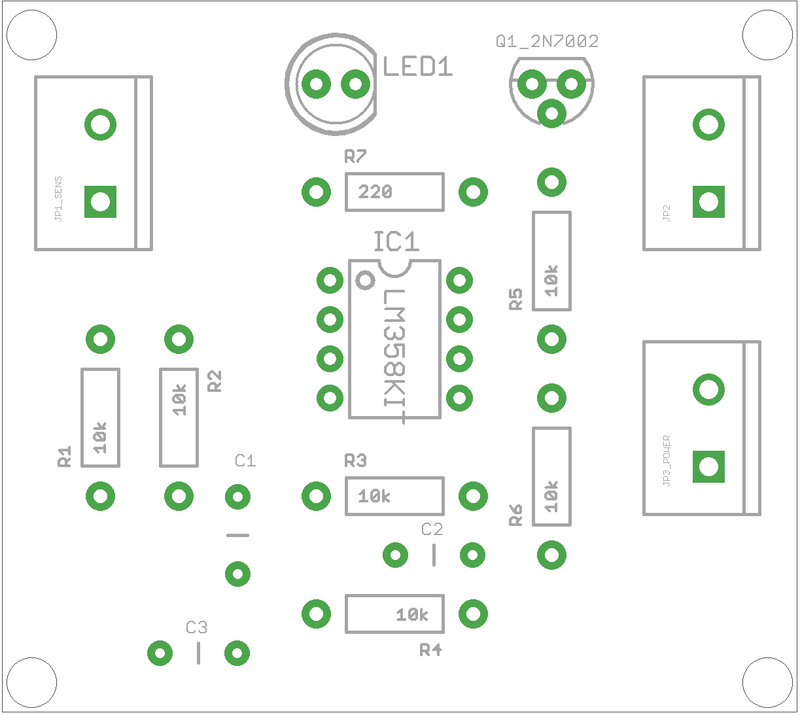 I added an LED because I think it would be nice to see when the key has been pressed without having to attach it to a measurement device like an oscilloscope. 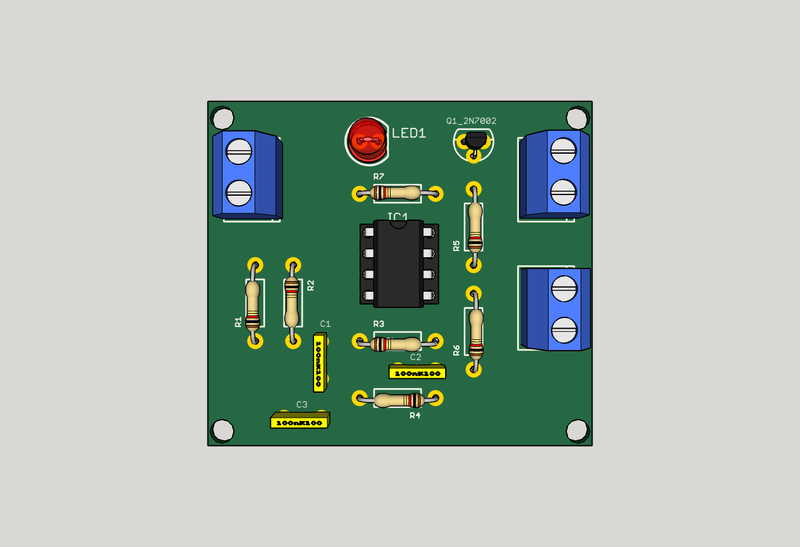 It makes it easier to test the circuit. I also added a screw terminal to input the power - nearly forgot that. 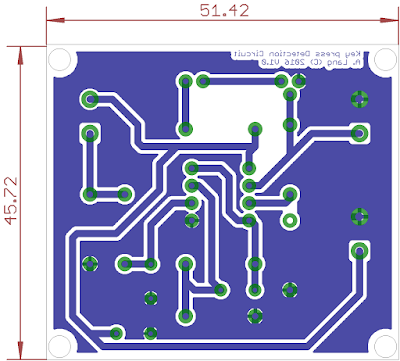 Not too bad at all...It does not take into account the cost of the PCB or my time building and testing the circuit. 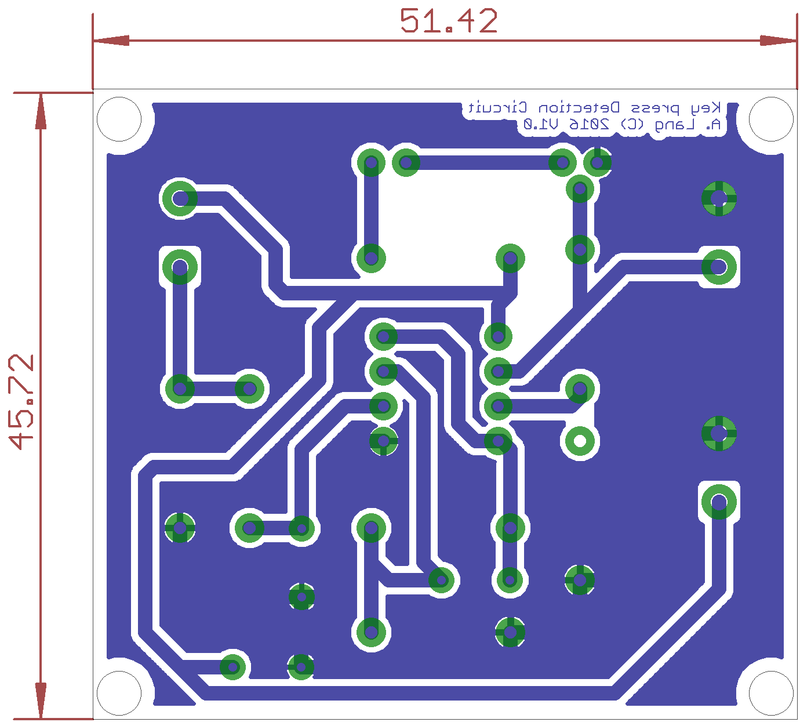 I intend having the PCB for the surface mount version made professionally - eighty - eight times so that will cost a little more!